Awe, all 3 of my kids called me to see how I was doing after 1/2 time. It was a perfect tribute to Prince!!! Projected scenes from "Purple Rain", a copy of the Prince-guitar projection from Prince's halftime performance, and I Would Die 4 U...perfect!!! I guess I really don't know his music because I only recognized like 2 songs besides Prince. His tribute was tasteful I guess but as with the the majority of the halftime shows in recent years it's all been a bit underwhelming. I know people think I'm a cold heart, but I'm not. 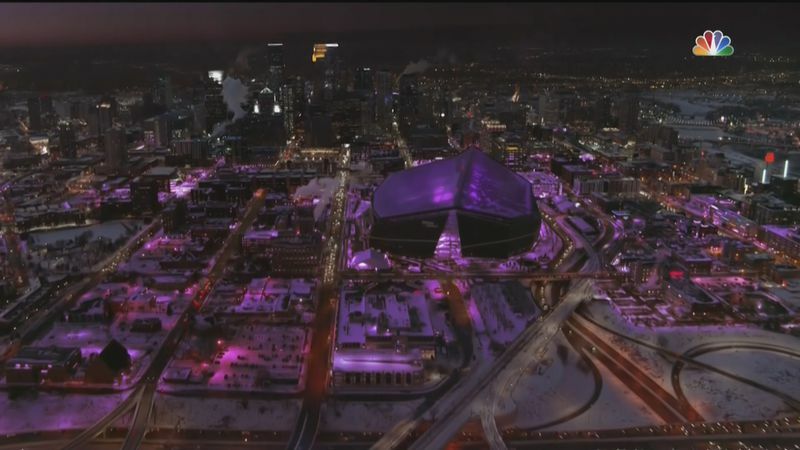 I started bawling during "I Would Die 4 U", then the city went purple. GOD STOP IT! I'm still pained that he's gone. No tribute is ever going to do him justice. But as long as it is heartfelt, that's what counts. And it was a nice nod to him. That was a huge production!! I have to say, it was hard hearing the band at first; the sound was awful. The Prince Tribute came and went so fast......I was like, huh? It didn't feel very emotional, imo. Maybe I have to see it again. It was very low-key, considering all the drama surrounding whether or not there was gonna be a Hologram. For me, it was just "okay". But, it looks like the Phillies are winning! Very good. I wish the tribute to P was a tad longer and not in the middle of JT’s song, but it was beautifully done—with the big image on a curtain in a way reminiscent of P’s super bowl and the city being lit up in the purple live symbol. JT’s performance was warm and fun (although not particularly musically impressive). P still reigns supreme. 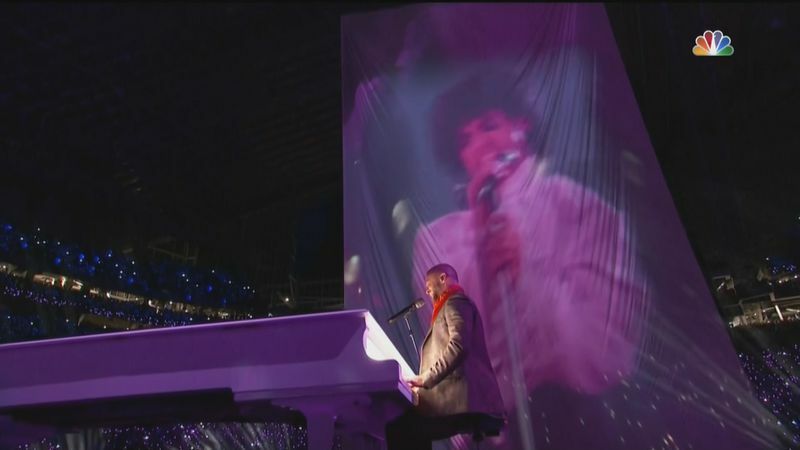 Yea, I think JT should have done the tribute to Prince first. Honestly, I was expecting it to be more elaborate than it was. It's all good. I just wish Prince performed the SB tonight. Nice to be around people who are not outraged for the sake of being outraged. With that said, the Prince tribute was done tastefully IMHO. I got misty eyed when the love symbol showed up and the city went purple. Good job Justin. Twas tasteful. A hologram would have been tasteless because it's trying to look like. "real" resurrection. The wonders of CGI. If people think that really happened, they're really deluded. Did they have a Prince Style Bat Signal pointed down from the sky somehow? Meh. I hated that half time show. I hope Prince is seeing all of this love and looking down from Heaven with a big smile on his face!! Definitely need a copy of that to frame and hang on my wall!!! !